I began blogging at the beginning this year, so I could be creative and share family fun things to do in San Antonio. I love my city and exploring it with my family! 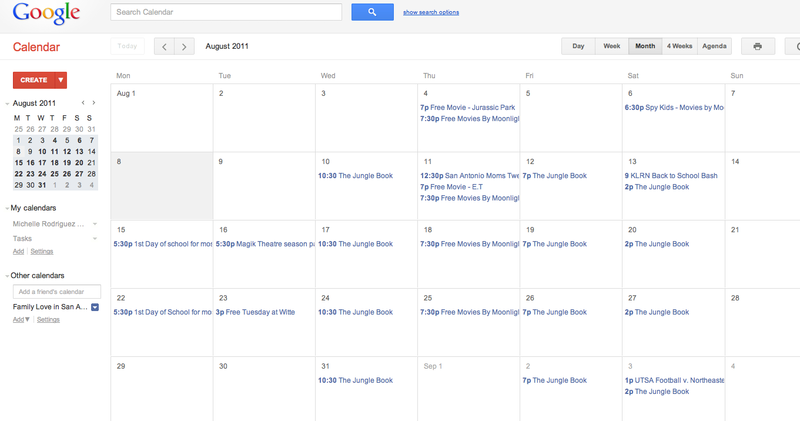 There are so many things to do and it's hard to keep track of everything...so, I started a public Google calendar! I will be including live shows, children's theatre, library events, museum exhibits, grand openings and more! It can be accessed on the "Calendar" tab at the top of this blog or you can access through Google Calendars by adding and searching for michelle@familyloveinmycity.com. 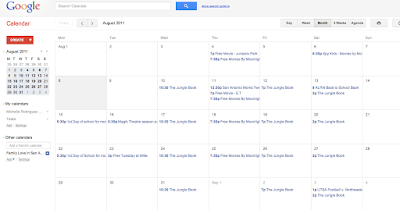 You can view my calendar in your Google Calendar or select events to add! I am also building my Facebook Page - Family Love In San Antonio and can always be found tweeting @familylovesa. I hope to share lots of opportunities to grow your family love! Awesome! I didn't even know you could do public calendars. Thanks, this is going to be great.